The marina was a little quieter today with only a few of our boats heading offshore to see what they could find. The crew of the ‘Cabana’ returned from the Poor Man’s with 4 yellowfin tuna and 5 dolphin. Fishing with them in the Poor Man’s was the ‘Marli’ who caught 6 yellowfin tuna, 6 dolphin, and released a blue marlin estimated to be around 350lbs! Our only other boat that went out today was the ‘Boss Hogg’ who returned from the Baltimore Canyon releasing 1 white marlin, and catching 13 yellowfin. As you can see the fishing action remains hot so don’t forget to call the marina office to book your next trip at 410-213-9600! Happy Tuesday, everyone! Only a few boats chose to fish today, but returned with some promising numbers as we advance into the weekend. the ‘Rhonda’s Osprey’ was back early with 3 Bluefin and 1 Dolphin. Capt. Joe Drosey reported to be fishing in the Hambone. ‘Roncito’ fished the Baltimore, returning with 6 Yellowfin. Also in the Baltimore was the ‘Boss Hogg’ and ‘Marli’, with ‘Boss Hogg’ bringing back 12 Yellowfin Tunas and 5 Dolphin, and ‘Marli’ with 11 Yellowfin and 2 Dolphin. Both returned with a happy charter from their day on the water. Yet another busy day at the docks with several boats returning with large amounts of Yellowfin Tuna’s and a few white releases mixed into the bunch. The ‘Osprey’ was back early at 1:30pm with 16 Yellowfins from the Baltimore. The rest of the fleet fished in the Poor Mans, with the ‘Griffin’ (4 Yellowfin, 2 Dolphin), ‘C-Boys’ (6 Yellowfin, 2 Dolphin, 3 White Marlin releases), ‘Pumpin Hard’ (8 Yellowfin, 1 Dolphin), ‘Marli’ (6 Yellowfin), ‘Bar South’ (1 Blue Marlin release, 1 White Marlin release, 4 Yellowfin, and 4 Dolphin), ‘Grande Pez’ (3 Yellowfin), and ‘Boss Hogg’ (5 Yellowfin and 1 Dolphin) all returning with great days from that area. It’s certainly been a busy couple of weeks out of Sunset Marina. We’ve gone from every boat catching their limit on Tuna to a nice mix of Yellowfins and White Marlin releases- just in time for tournament season! 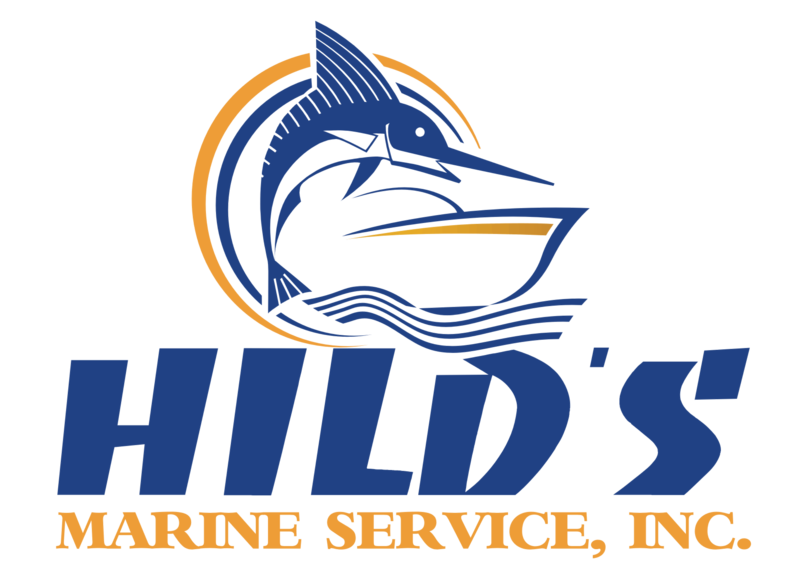 If you’re interested in booking a charter, check out our “Charter” page for contact information from the hottest charter fleet in Ocean City! It was quite an eventful day here at Sunset Marina with plenty of boats fishing the fantastic tuna bite that’s going on currently! The majority of our charter boats fished the Poor Mans Canyon today with an incredible result. The Osprey was the first back to the docks catching 13 yellowfin, 3 dolphin, and 1 white release. The Reel Chaos captured 11 yellowfin and 12 decent sized dolphin. The Zipper caught 10 yellowfin. The Tighten Up caught 7 yellowfin, 5 dolphin, and white release and finally the Boss Hogg caught 12 yellowfin, 9 dolphin, as well as a Blue Marlin! 2 of our charter boats, the Marli and the Blood Money, ventured out by themselves today. The Marli fished the Hambone and caught an impressive 18 yellowfin, 2 bluefish, 3 dolphin, and 1 white release! The Blood Money also had a great day traveling to the Baltimore Canyon catching 18 yellowfin, 4 dolphin, and 1 white release. As you can see with warmer water rapidly approaching the white marlin bite is slowly but surely picking up! Be sure to contact our marina office to take the trip of a lifetime! A few boats went tuna fishing today before the nasty weather coming for the weekend. The ‘Espadon’ returned with 3 Yellowfin and 7 Dolphin, fishing alongside the ‘Boss Hogg’ the Poor Mans, who had 4 Yellowfin, 1 White Release, and 13 Dolphins. Also in the Poor Man’s was the ‘Reel Chaos’, who caught 7 Yellowfin and 2 Dolphin. The ‘Rhonda’s Osprey’ fished the Baltimore, returning with 5 Dolphins and 1 Yellowfin Tuna. The ‘Grande Pez’ returned to the docks last, with 4 Yellowfins and 2 Dolphin from their day offshore. Tomorrow will bring some not-so favorable weather throughout the weekend, with winds around 25 knots and rough seas off our coast. There was a nice dip in the temperature today as well as a slight change in the fishing action. While we did not quite see the numbers recorded yesterday the boats that ventured offshore were still rewarded with some decent catches! First back to the dock was the crew of the Fish On with 8 yellowfin tuna. Fishing alongside them in the Baltimore was the crew of the Marli who had 4 white marlin releases and the crew of the Max Bet who released a Blue marlin. The crew of the C-boys fished in the Baltimore as well and caught 6 yellowfin tuna and had 1 white marlin release. Our lone boat fishing in the Hambone was the crew of the Gone Phishin who caught 2 bluefin tuna and 1 yellowfin. Tomorrow officially marks the first day of summer and what better way to celebrate than picking up the phone and booking your next charter at 410-213-9600! With fishing being pretty slow the past few days everyone back at the docks was anxiously anticipating the arrival of our several boats fishing today and they sure didn’t disappoint! The Baltimore Canyon seemed to be the hot spot for our charter boats today with several of them bringing back a full load and limit of tuna! The Buckshot caught 8 yellowfin and was also one of our 2 boats out today to catch a white marlin! The other boat releasing 2 white marlin was the Boss Hogg, who caught 18 yellowfin. The C Boys were able to catch there limit of 15 yellowfin with the Fish On coming in close behind with 8 yellowfin. Venturing out on their own to the Washington Canyon was the Marli which seemed to pay off, as they were able to catch a whopping 18 yellowfin! The fishing sure seems to be heating back up! Although fishing has been somewhat slow, it was too gorgeous of a day for our charter boats to stay back at the dock. Fishing in the Baltimore Canyon was the Osprey, Fish On, and the Reel Chaos. Back to the dock first was the Osprey catching 2 bluefins and 1 yellowfin. Close behind was the Fish On catching 4 yellowfin, followed by the Reel Chaos who brought in 3 bluefin. The Espadon ventured off by themselves today fishing in the Washington Canyon and were successful bringing back 3 decent sized yellowfin. Lastly, the Marli fished the Wilmington Canyon and brought back 1 bluefin and 1 yellowfin. It looks like there will be a few boats venturing out tomorrow in search of tunas and the elusive white marlin, so be sure to check back in tomorrow for all the action! Compared to the past few days here on the docks today was a rather slow day for our charter boats with only two boats venturing to the Wilmington Canyon, the ‘Reel Chaos’ and the ‘Boss Hogg’. The ‘Reel Chaos’ had a fantastic day catching 2 Bigeye and 3 yellowfin. The crew of the ‘Boss Hogg’ had an amazing day as well catching 9 yellowfin. With the Big Rock Tournament wrapped up down in Moorhead City, it is great to see our boats making their return back to Sunset Marina, as well as our customers who have yet to arrive! After yesterday’s insane fishing action (Over 190 Tuna reported in between C and D dock alone), almost the entire fleet went out in search of more Tuna to keep the record going. In the Poormans was the Brenda Lou, returning with 4 Yellowfin and 1 Dolphin. The rest of the fleet fished the Washington today, with the Marli (4 Yellowfin, 2 Dolphin), Pumpin Hard (4 Yellowfin), Fish Tricks (2 Yellowfin), Blood Money (5 Yellowfin, 1 White Release), Tighten Up (9 Yellowfin, 1 Dolphin), White Lightning (8 Yellowfin), and Boss Hogg (10 Yellowfin, 3 Dolphin) in search of the same catch we saw yesterday. There is no doubt, the fishing is still red hot, keeping the fish cleaners busy with the influx of fish. There’s still time to book your trip- give us a call today at 410-213-9600 to start planning your next charter! TUNA’S, TUNA’S, TUNA’S! If you stopped by the docks today it would have been impossible to miss with well over 190 Tuna’s being brought back to the dock. This report only covers C and D dock boats with a few additional reporting in, which means there are plenty more Tuna’s that could be added to that number. That’s one heck of a report for a Friday, leaving the fleet itching to fish first thing tomorrow morning. Check in with us tomorrow for the latest! It was a very eventful Thursday evening down on the docks here at Sunset Marina. With this beautiful weather we have coming in for the weekend, there was a handful of our charter boats that all ventured out to the Baltimore Canyon today. Coming back to the dock first we had the Osprey,t who caught 6 yellowfin and 2 bluefin. The Boss Hogg was able to bring back a notable 18 yellowfin. With an impressive 17 yellowfin, 1 bluefin, and 1 big eye the Marli had another spectacular day. Continuing down C-Dock, the Reel Chaos caught 8 yellowfin and 1 bluefin. Our lone boat on D-Dock to venture out was the Buckshot, who was able to catch 13 yellowfin while releasing a bunch a whole bunch more. The docks are looking to be very busy and exciting this weekend, so be sure to check back in for all the action! !